Vayikra 23:40 provides the commandment to take up the 4 species on Sukkot: וּלְקַחְתֶּם לָכֶם בַּיּוֹם הָרִאשׁוֹן פְּרִי עֵץ הָדָר כַּפֹּת תְּמָרִים וַעֲנַף עֵץ עָבֹת וְעַרְבֵי נָחַל וּשְׂמַחְתֶּם לִפְנֵי יְהוָה אֱלֹהֵיכֶם שִׁבְעַת יָמִים - "And ye shall take you on the first day the fruit of Hadar tree, branches of date palms, and bough of 'avot tree, and willows of the brook, and ye shall rejoice before the L-RD your G-d seven days." The Shulchan Arukh, Orach Chayyim 647:1 [hattip: @danf], basing himself on Maimonides, seems to restrict the usable species to specific known minim/min. According to contemporary poskim, which genera/species of plants might be usable as "עַרְבֵי נָחַל"? 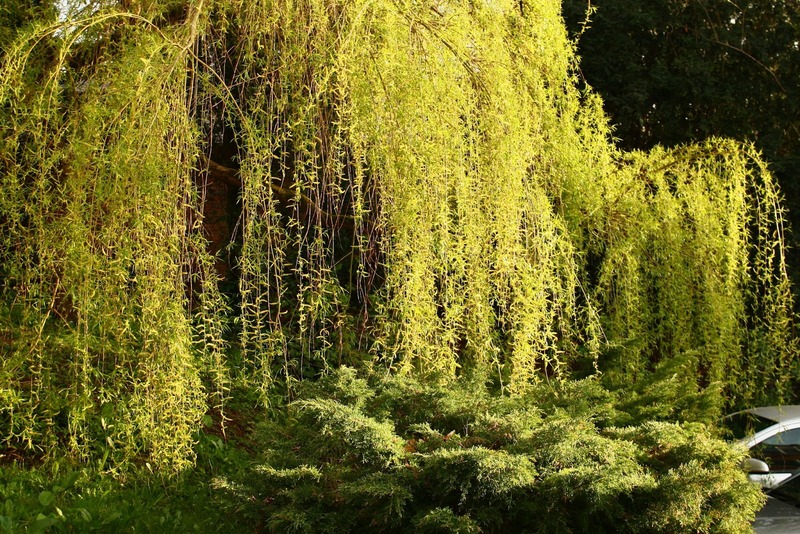 For example, are there any halachic issues with using branches of the common ornamental weeping willow? Browse other questions tagged halacha science lulav-etrog-arba-minim agriculture hoshana-rabbah . May a child make a Berachah on a Pasul set of 4 species?